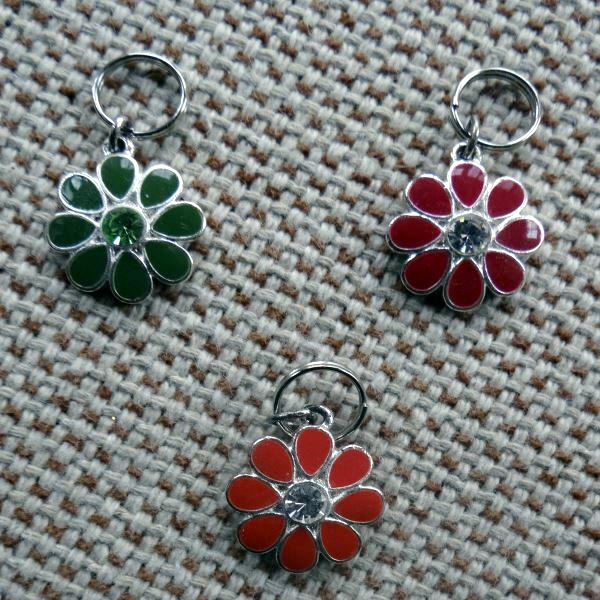 This Silver and Enamel Flower Dog Collar Charm is a quality charm for your pet. It is a silver metal flower charm which the petals are enamel. There is a rhinestone in the center that sparkles as it catches the light. The Silver and Enamel Flower Dog Collar Charm has a spring clasp attaches this charm to your pets collar. Colors are subject to availability.